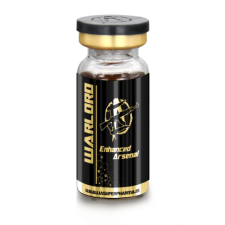 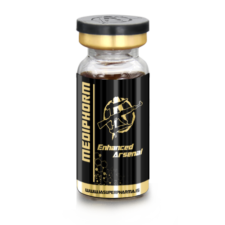 You have entered the ENHANCED ARSENAL High MG Injectables section on the IA SuperPharma website. All products contained within this section are deemed to be for advanced male users only. By purchasing from this section you accept that these products may instigate some PIP (Post Injection Pain) and therefore some discomfort. You must have a thorough understanding of correct injection technique prior to using these products and expect significant side effects and know how to manage these responsibly. All products on this page are designed to be injected using a 19, 21 or 23 gauge needle and injected into the glute or ventro gluteal areas ONLY. Do not use any of these products if you have a low tolerance to high amounts of hormone or a low tolerance for pain.